If your consoles dashboard is over 2.0.7371, then this option allows us to JTAG your console. You can even request a hard disk upgrade when ordering. 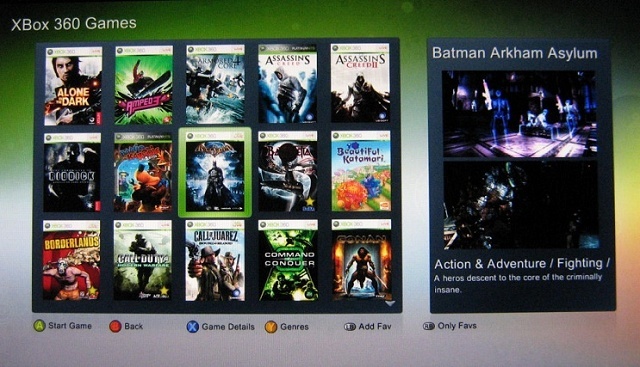 If your Dashboard looks like the below example, then we can actually Jtag your console, this service is listed in the Mod Section of our website. Below is an example of the "Blade 2.0.7371 Dashboard"
If your Dashboard is higher than 2.0.7371, the latest is 2.0.17511, then we can still Jtag your console via the RGH method. This new hack is called "Reset Glitch Hack" or RGH and requires a chip to be installed inside your console. This chip fires a timing pulse at the CPU to make the CPU be able to boot into a JTAG console. We however have tuned this to INSTANT Boot from zero - 15 seconds, EVERYTIME (Console Permitting - each console is different) !!!! If you include your harddisk, we will install Xexmunu and Freestyle DashV3 + Dashlaunch V3.18.1 so your console boots directly into Freestyle dash. We can upgrade your consoles harddisk, just select the size you would like whilst purchasing the service. The engineers can then install the bigger drive and set this up for you, so your ready to install your games, etc when you receive it back from us. Great service, would definitely buy again. This was a quick and painless process, and everything works fine. As well as adding the chip, XeXmenu and FreeStyle Dash were added which I am really happy about. Great service, and if I had to choose where I would buy one from again, I would definitely pick this place. Very good service throughout whole expirence! used multiple times and will continue! !